Only you know yourself and your business so ONLY You can create a viable, useful business plan for your company. No one else can do it for you! The One-Page Business Plan isn’t for everyone. But with simple, easy to use methods becoming the norm, many entrepreneurs have turned to one page business plans in order to get their businesses off the ground faster instead of opting for a detailed and time consuming approach. Even for existing businesses, it is a simple way to look at where you are now, where you want to go, and what it will take to get there. 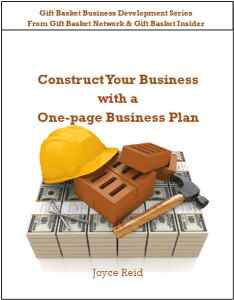 This 10-page booklet not only outlines how to create a simple one-page business plan but it also provides resources for creating a more detailed business plan if you wish to expand the one-page plan as well as a link to a sample business plan for a gift basket business. Price is $5.95. 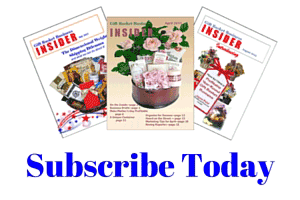 Order it today by clicking here.